Consider Redbubble Product options the CANVAS your Art Work is applied to, create great artistic products! This challenge closed over 4 years ago. properly created to cover a pillow. 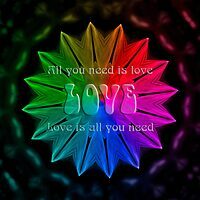 All you need is love by Celeste Mookhe... was voted the most popular entry in this challenge with 2 votes.